Arrow Season 5 Episode 19 Spoilers, Air Date, Promo: At the end of Arrow episode 18 of season 5 titled ‘Disbanded,’ everyone in the Star City got to know the real killer behind the murders. Now, the show is taking a leave for about a month just like other CW TV series like The Flash and Supergirl do. The upcoming ep 19 will be released on April 26, 2017, Wednesday at 8 pm on the CW and the title is ‘Dangerous Liaisons.’ This happens to be quite a long time when the new episodes will start airing. But, one thing is clear that the new segment will accelerate us into the final four episodes of the season. The next episodes will be full of craziness and hyper-intense showdown that we, the fans, want to see at the end of every season. Let us see what the showrunners have planned for the final segments. It shouldn’t be like earlier crisis where the villain is trying to destroy the city. We have already seen a lot of it. Check: Wynonna Earp Season 2 Release Date. In Missing, we will see Oliver Queen returning to the island in the past timeline. We will see what the Starling City was in the pilot episode of the series. It’s like we will complete a full circle of the story. It seems exciting as we get closer to the Arrow Season 6. The show has got a positive response, so we are expecting it to deliver such kind of dark and grounded stuff. And not involving frequent superpowers or crossovers. See: The Winds of Winter Release Date. Felicity will continue to work down on her dark path, but for some inexplicit reasons, she appears to be the only hope for Team Arrow to take down Adrian Chase aka Prometheus. The Arrow S5E19 promo has been released, and it seems to show the aftereffects of Felicity’s collaboration with Helix. The synopsis will be updated. Arrow Season 5 Episode 19 will air/release on April 26, 2017, on the CW at 8 pm ET. 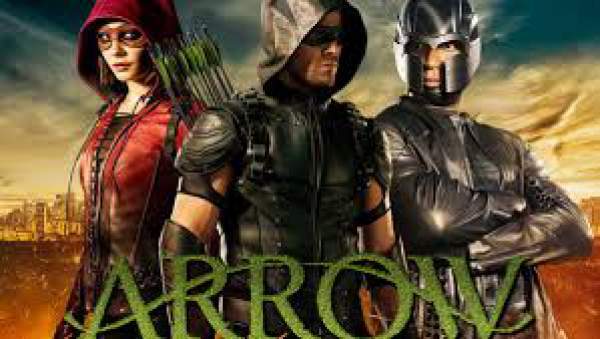 Stay tuned to TheReporterTimes.com for latest Arrow spoilers, TV News and Entertainment updates around the world. Are you liking the new episodes of the show? Do share your opinions. Next articleGame of Thrones Season 7 Spoilers: GoT 7 Plot Leaked or It’s Another Hoax?